Waterfront! Canal! Dock! Boat Lift! Pool AND Heated Spa! Waterfront living at it best! This home offers 4 bedrooms 2 1/2 baths a office formal dining room eat in kitchen and a open family room with soaring ceilings! The upgrades include a metal roof upstairs balcony Tile and hardwood floors crown molding solid surface counter tops and a 10000 pound lift at your dock with all the dock accessories needed! Located in the sought out Coastal neighborhood of MiraBay!!! You have direct access to Tampa Bay from your own private dock behind your home. Start enjoying all the amenities the neighborhood has to offer such as a 10000 square foot clubhouse state of the art gym Gally CafÃ© spa services Olympic size heated swimming pool with a 136 foot water slide tennis volleyball and basketball courts 3 parks and a Bait and Tackle shop where the residents have free use of canoes kayaks and sunfish! The home is also locate on a cul de sac street! 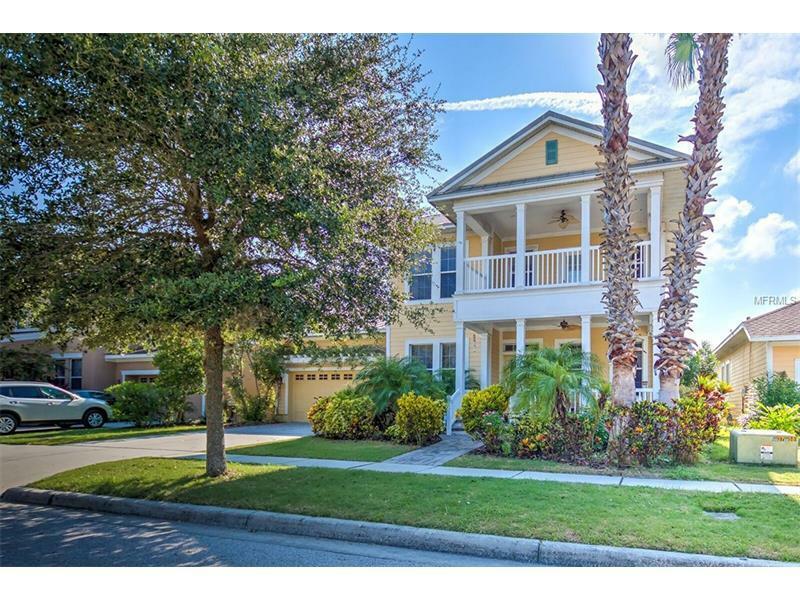 This gorgeous coastal home has everything and is move in ready! Amenities Additional Fees: Classes, SPA services, athletic lessons.